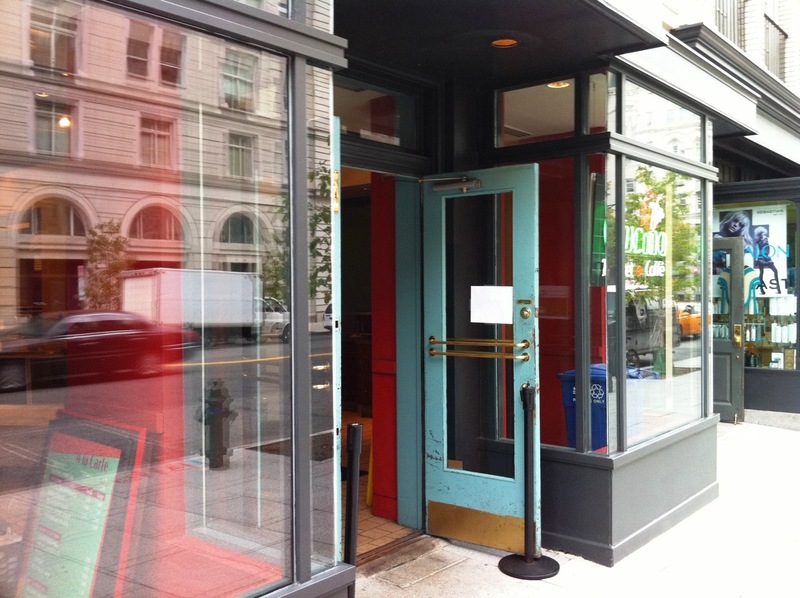 Walking our dogs along 11th Street NW (between Penn Ave & E St) yesterday we noticed that La Prima was closed and workers were removing all furniture and fixtures. Attached to one of the windows was the above note, stating that the retail locations were closing (after 24 years!) but that catering would continue. We had only eaten at La Prima once, but we have several coworkers who swear by it and will be crushed by the news. This closing does offer a fairly good sized restaurant/retail space in a great location. If Tackle Box is still interested in the Penn Quarter this would be a great (if expensive) spot. Wasn’t the restaurant called Via Cucina? I think there’s already a restaurant slated to go in to that space – same folks as Teatro Goldoni. 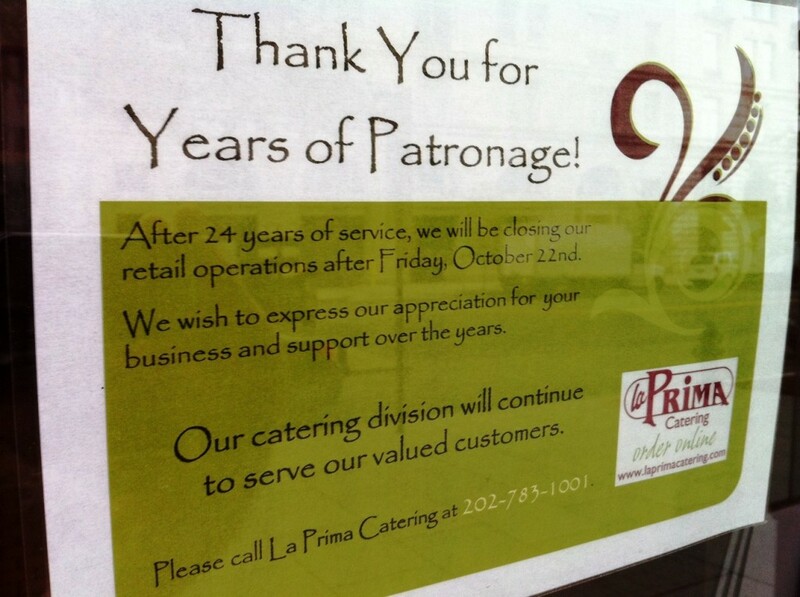 La Prima is the catering business, the restaurant was Via Cucina. Can’t say I’m sad to see it go. I generally found the food to be overpriced and lacking in flavor. Don’t worry, plenty of small plates and cupcakes for you in the PQ.